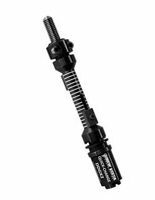 As the latest addition to New Vista’s line of thread verification and cleanout solutions, the TC Thread Gun offers unparalleled convenience when inspecting or chasing multiple threads in large parts. 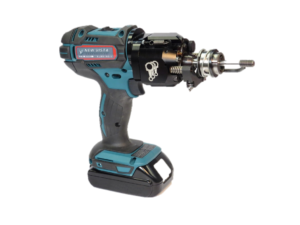 The standard TC Gun is equipped with quick change tooling and depth setting, allowing most internal and external “GO” thread inspections (and cleanouts) to be performed in 4 seconds or less. As always with New Vista designs you get (adjustable) limited torque going in, and much greater torque backing out, eliminating the possibility of jamming in the hole or cross-threading. 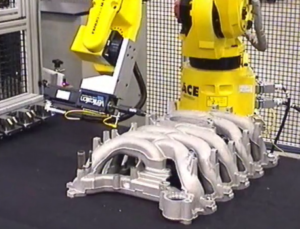 The International Manufacturing Technology Show is one of industry’s biggest and best shows, and if you’re looking for cutting-edge solutions in manufacturing technology, chances are, you’re going! This year, take advantage of the opportunity to experience New Vista’s latest innovations in screw thread-verification and thread reconditioning technology. On display will be our most popular products: the STH Unit, SCD Machine and Handheld Gun, among others. You can find information about these products and see videos of them in action before you arrive through New Vista’s website. 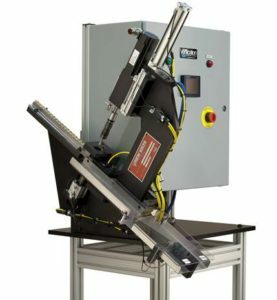 Whether the application is thread verification of existing threads, or chasing or retapping deformed or impeded existing threads, it is essential that the correct toolholder be selected. In all cases the tool must follow the existing thread with as little impediment or resistance as possible. Ordinary floating tapholders, or rubber couplings are not suitable for these kinds of work; their use will result in stalling at entry, metal adhesions or out-of-phase rethreading. A properly designed compliant toolholder, will, in contrast, allow the tool to make effortless entry 100% of the time, and then permit the tool to glide easily through any correctly-sized thread. 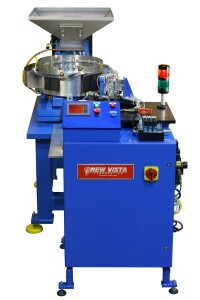 New Vista’s TVM-ESCs are the most popular and widely used thread-sorting machines in the world. They are used for both “GO” and “NO GO” thread-verifications and are generally served from feeders, magazines or even hand fed. 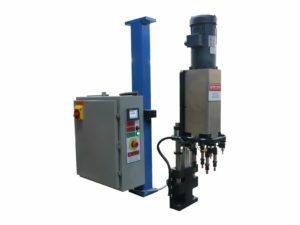 First introduced to the market in 2006, the longevity of these Machines is anchored in robust design and the use of the well-regarded New Vista TVU-STH Power Unit. TVM-ESCs are relentlessly reliable, they are compact and they will run either male or female threads. The latest models have quick-changeover capabilities built into them, and they cost less now than they ever have before. For low volume applications or when there’s a lot of variety, a TVS-SV Thread Verification Station may be your best choice. To see these in action, look at VSV4 and VSV5 . 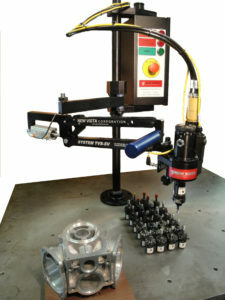 The counter-balanced pantograph makes the Unit easy to maneuver and it keeps the Thread Gage Member straight with the work. Anybody can learn to be proficient with this unit; and crossthreading and jamming won’t be problems anymore. The guns you have seen are too slow. The gage / chaser tears up the mouth of the hole. If you bottom out on the thread, the gun jams, and you can’t back the tool out.